Chibaken Yakult Hanbai, Co. Ltd.
We support the life and health of people living in the area by delivering Yakult products. 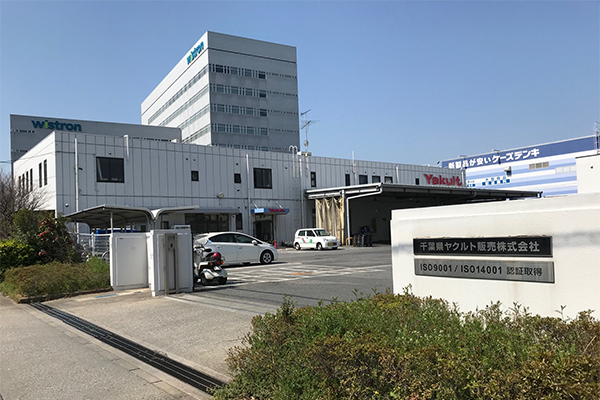 We are the Yakult sales company in charge of the area covering Chiba prefecture and the south part of Ibaraki prefecture. Our business consists of two business types; Delivery business that provides products, such as dairy products, lactic acid bacteria beverages, fermented milk and cosmetics, by our "Yakult Ladies", and Direct Marketing business that includes delivery of products to retailers by our route sales representatives and sale through vending machines. We work in close relation with the local communities in all those business activities to contribute to a healthier and more enjoyable life.